The Sportsguys and Billy’s invite listeners to Billy’s Friday morning for a football preview show. Billy’s will have doughnuts and soft drinks available during the show which airs from 7:37 to 9 a.m. on Talkradio 1270 and kscbnews.net. 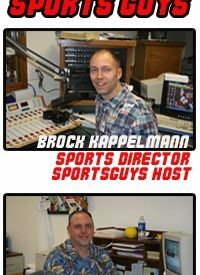 Fans are invited to stop by and talk football with the Sportsguys, Brock Kappelmann and Tracy Utz.